Finally! It’s only seven short days but it can feel like so much longer when you are desperate to go for a swim! 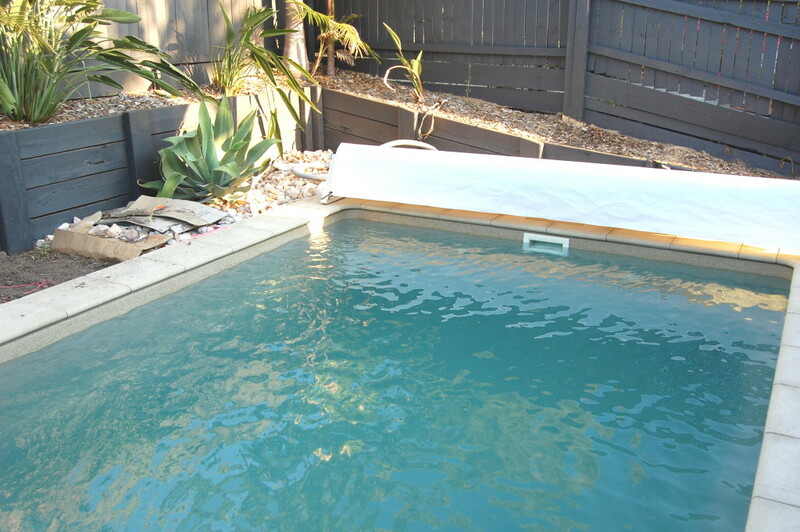 From a green murky stagnent pool to a beautiful oasis, this pool has only needed 20 hours of filtration, less than 10 litres of chlorine, and some patience. No flocculants, no algaecides, no water clarifiers or conditioners. Just plain old chlorine, and the FAS-DPD 3 in 1 Chlorine test kit. Our week long documentation can be seen below in the comparison picture. This was an interesting pool for us, because we wanted to see whether we needed to filter 24 hours per day as is sometimes suggested in forums. The answer is a clear no! We definitely made the most of our filtering hours, vacuuming the algae that had settled on the bottom before opening up to a more general filter. However, this has taken longer than it can normally take to clear up a pool, simply because we were not filtering 24 hours a day. 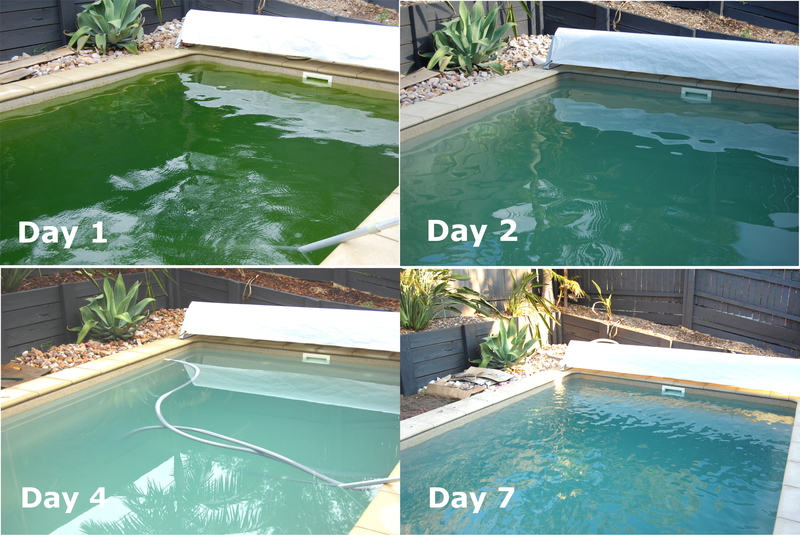 Although the pool water looks pretty good from the photos, and is certainly healthy enough to swim in, it’s important not to be lax with the testing, and to make sure that the algae infection is completely under control before settling into the normal routine for summer. This includes another thorough brushing to make sure there are no spots of algae that have been missed, balancing the chemicals, and testing to see whether the overnight chlorine consumption is gone. 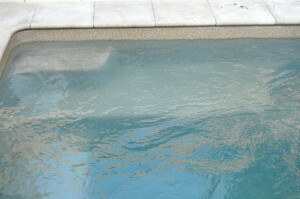 Only when no chlorine is being used up in the dark do we have a spotlessly clean pool. Head over to our Shop and pick up the right products for your pool today! Looks great! 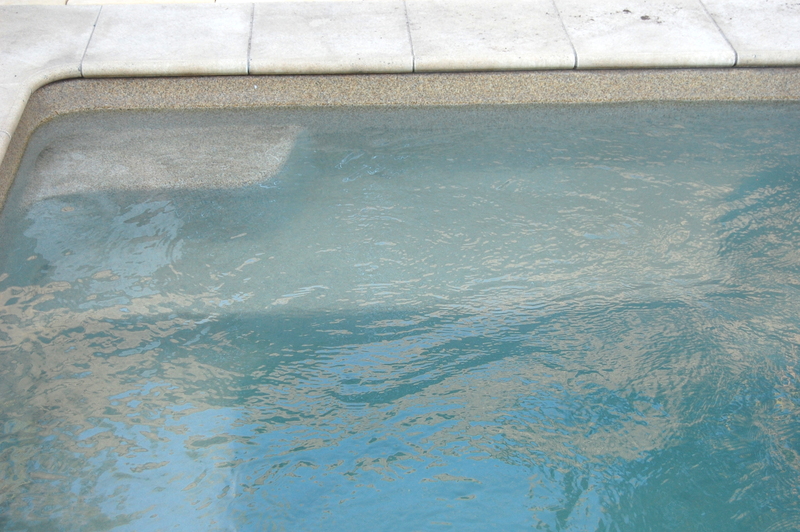 A nice example of how to resist the urge to over medicate our pools.